Automatic braking from Subaru | What Car? 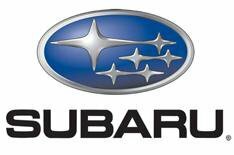 Subaru is introducing the option of a Volvo-style automatic braking system to its cars. The system uses two forward-facing cameras to detect a potential collision, then gives an audible warning to the driver if a potential collision is detected. If no action is taken, and the closing speed between the two cars is 18.6mph or less, New EyeSight can slow and stop the car to avoid a collision. The addition of the cameras means Subaru's adaptive cruise control system will also now operate in the full speed range. The 'New EyeSight' technology will be offered in the UK late in 2010.